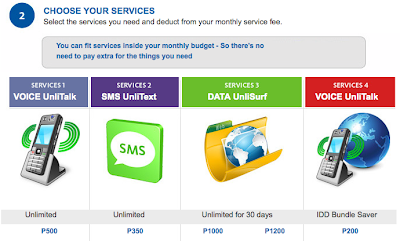 Smart Communications, Inc. (Smart), the leading wireless services provider, recently launched its new All-Net offerings, the latest services under its All-In plans that give postpaid subscribers affordable rates on voice and SMS services to all networks. This is the first time that Smart offers an amazing low rate plan for postpaid subscribers; a timely offer now that Christmas season is just around the corner. I’ve been a postpaid subscriber of Smart for almost 10 years now and I’ve been waiting for a promo like this that would give me a lot of savings. Alongside with this, I also have an active Smart prepaid account as well. Unlike other postpaid offers that requires a user to have add on extra charges, Smart Postpaid All-In plans include all the services into one package. Last October 18, 2011, some members of the media participated in an “Amazing All-Net Race” challenge that highlighted the affordability and reliability of this new service for Smart Postpaid subscribers. This event was hosted by Gellie Victor. My teammates were: Jeman Villanueva, Alex Villafania and Arpie Lazaro. We won 3rd place. With the All-In plans, Smart now has the lowest postpaid call and text charges to all networks. Having a plan that lets you text to all other networks is a great help so we could still get in touch with our loved ones even if they are using other telecom lines. Smart Postpaid All-Net Talk lets subscribers cut their postpaid call charges in half with 80 minutes of calls to all networks at a rate of only P250 for 30 days – bringing down the voice call rate to only P3.12 per minute, while other providers charge as much as P7.50 per minute. Meanwhile, Smart Postpaid All-Net Text costs only P350 for 30 days for 2,500 text messages to all networks, which is equivalent to only P0.14 per SMS instead of the standard rate of P1.00 per text charged by other networks. If you're not yet a Smart Postpaid subscriber but are considering to have one, I highly recommend that you check this Smart All-In Customizer where you can choose your best plan and the free phone that comes with the postpaid plan. Data services under the Smart Postpaid All-In plans also give the widest range of data volume on demand, from 25MB to 2GB. With the IDD bundle saver, you can make international calls at local rates, plus 5 minutes free for only P200. This is the best value for your money. 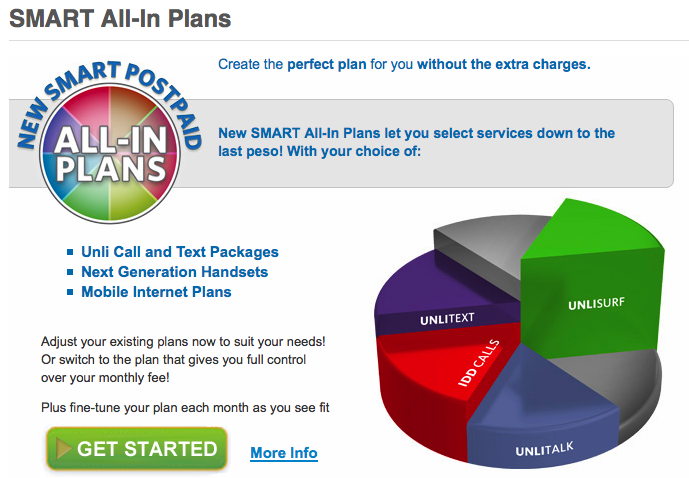 Smart Postpaid All-In plans with All-Net services are definitely the smartest choice.